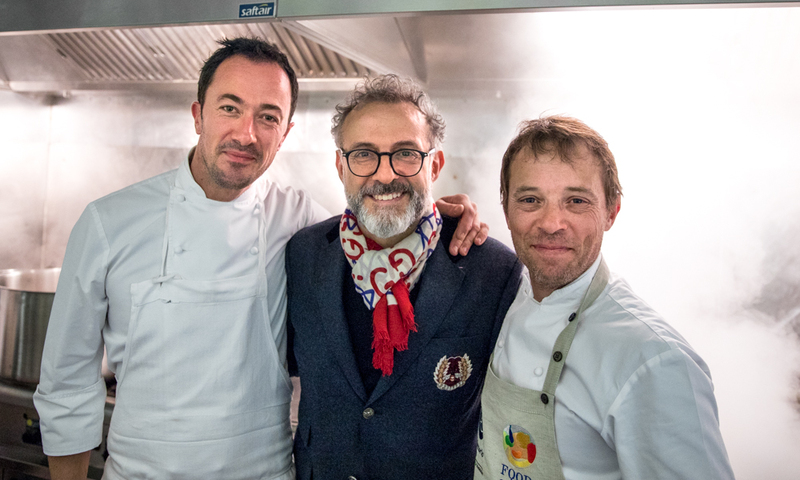 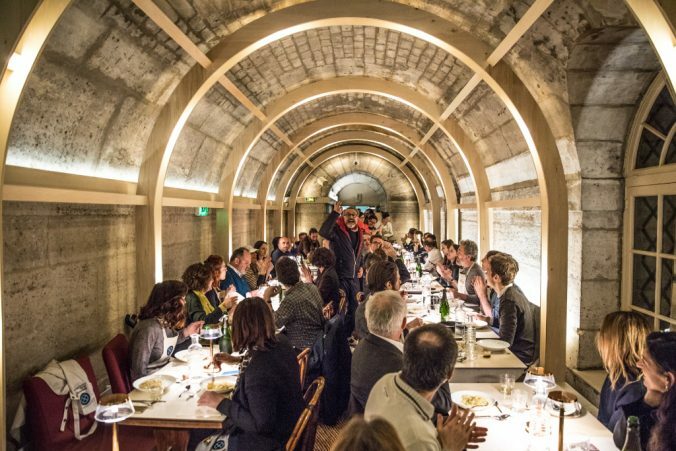 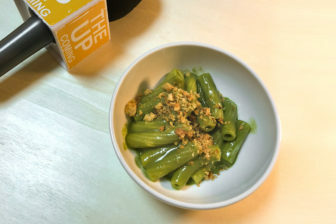 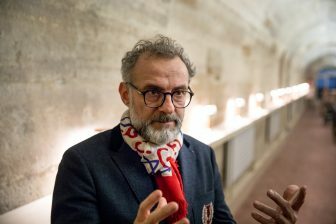 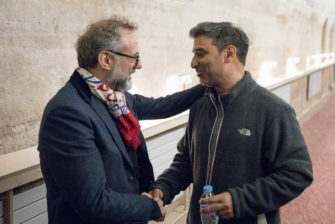 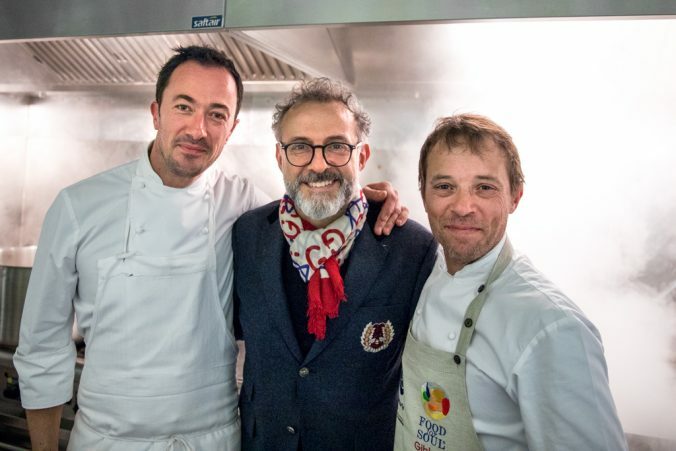 Food for Soul, the non-profit organisation founded by chef Massimo Bottura, has partnered with Le Foyer de la Madeleine, a social restaurant running inexpensive lunch services, to open its third major international project. 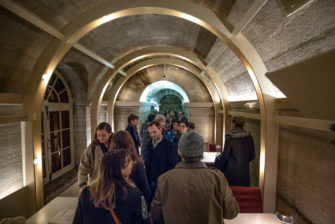 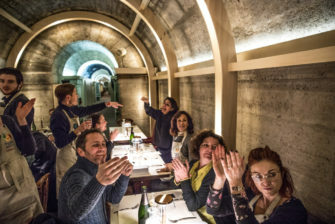 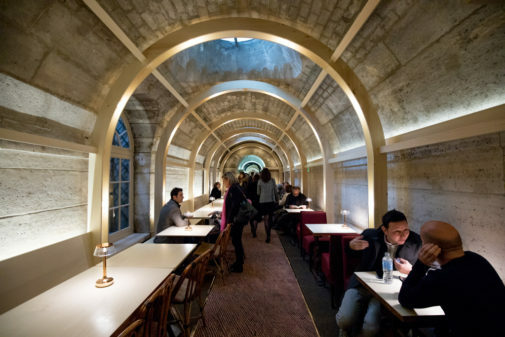 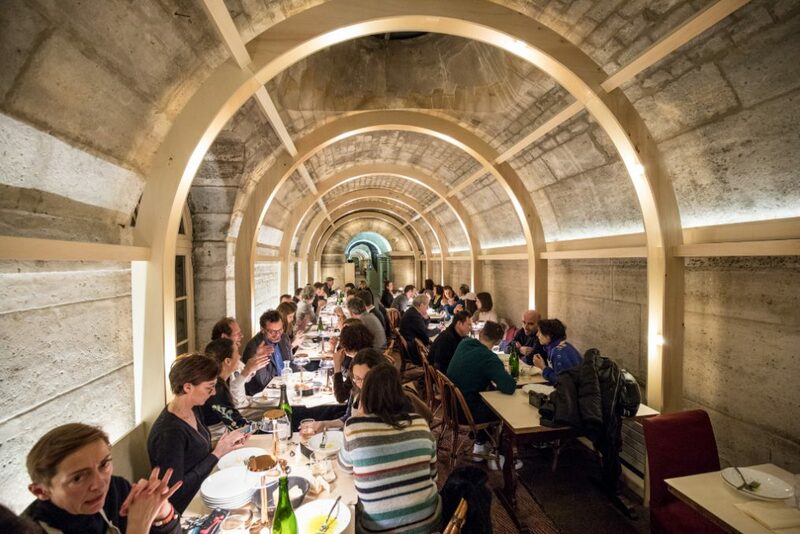 Thanks to this exciting joint venture, on 15th March 2018 Refettorio Paris opened its doors in the crypt of the Church of La Madeleine, a place of significant historical value in the heart of Paris. 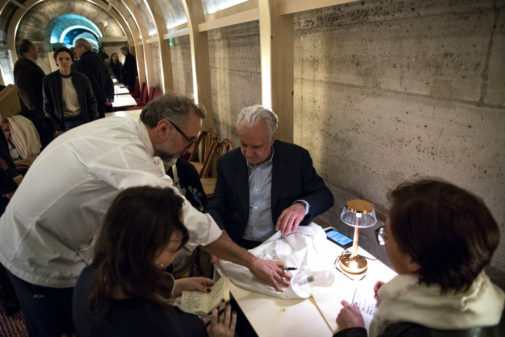 On the day of the opening, two legendary French chefs helped cook the very first meals: Alain Ducasse and Yannick Alléno. 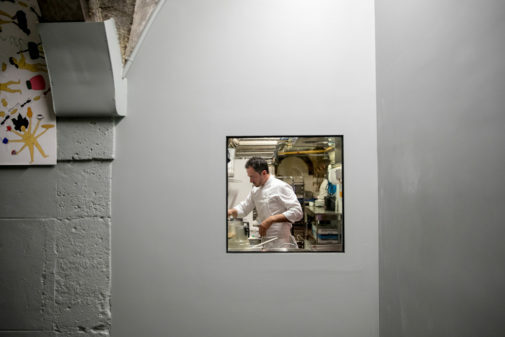 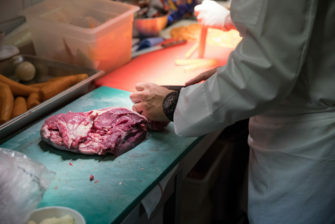 Ducasse brought with him Romain Meder, head chef of three-michelin-starred Plaza Athénée restaurant, and Christian Julliard, one of his right-hand men. 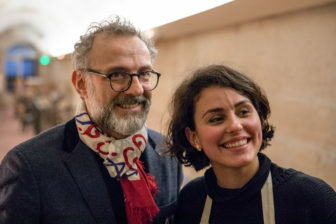 More chefs from Paris, France and around the world have been invited by Massimo Bottura to prepare healthy and delicious meals with surplus ingredients provided by Carrefour, the Banque Alimentaire and Phenix, a young social entrepreneurship tackling food waste by serving as a link between large supermarkets and various charitable associations. 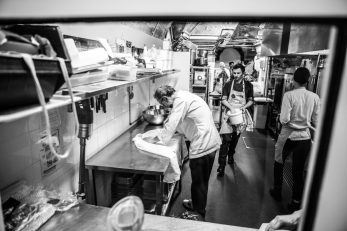 Every night from Monday to Friday, a team of volunteers welcome guests, mostly refugees, homeless, rough sleepers and people in situations of social vulnerability, serving them dinner directly at the table. 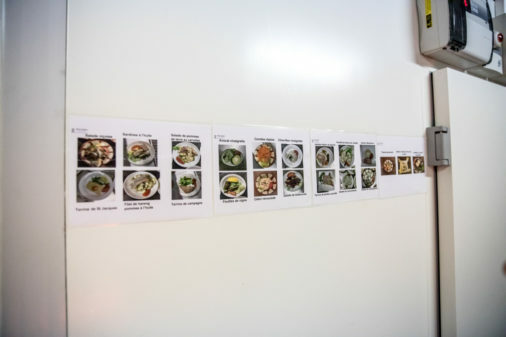 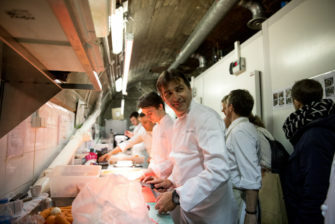 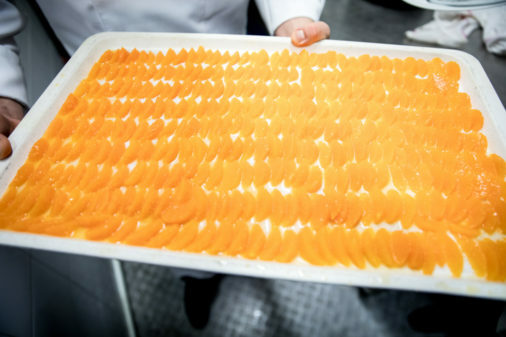 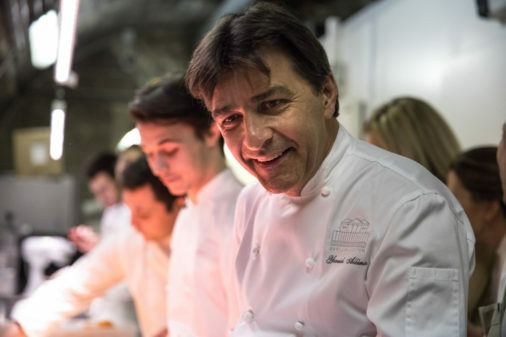 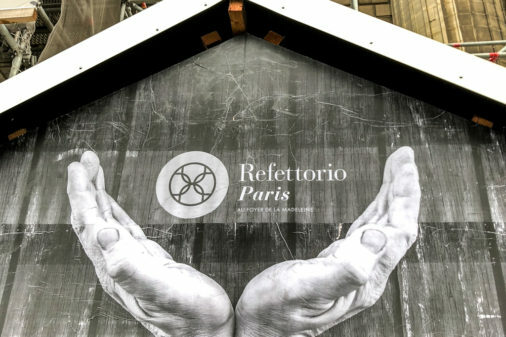 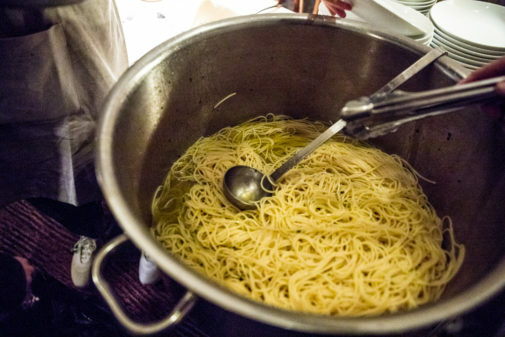 Refettorio Paris aims to serve 100 meals a day using about 130 kg of recovered food. Following the opening, Refettorio Paris is kept running with the support of Food for Soul and Le Foyer de la Madeleine, while culinary students are in charge of preparing daily meals for the guests. 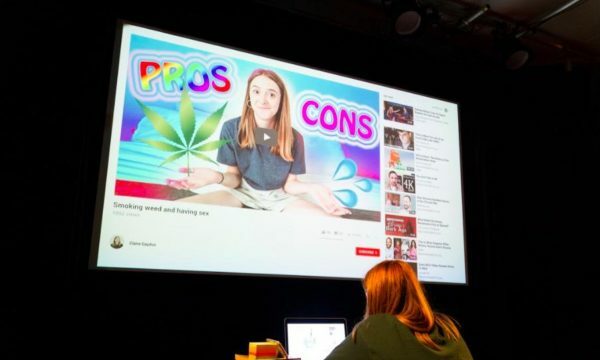 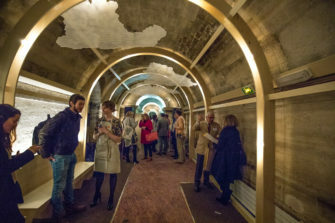 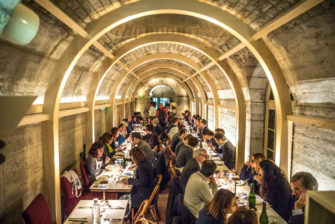 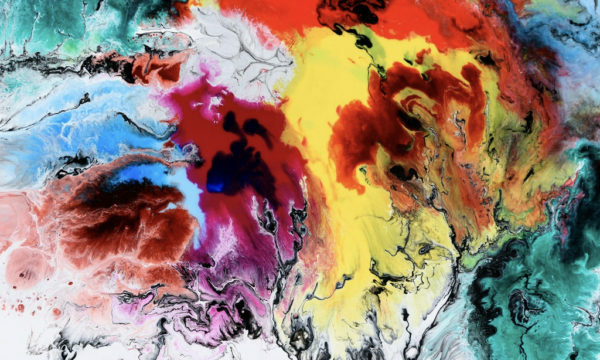 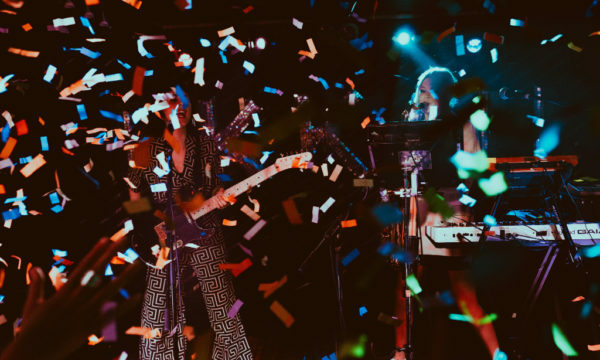 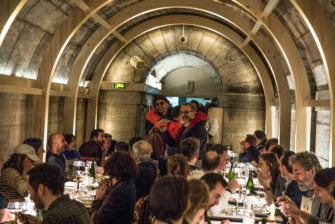 On top of offering meals, Refettorio Paris will host events, workshops and social entrepreneurship programmes to inspire and engage the whole community in the fight against food waste and social isolation. 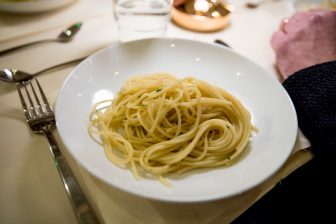 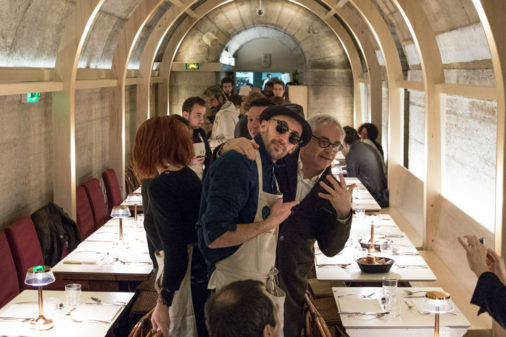 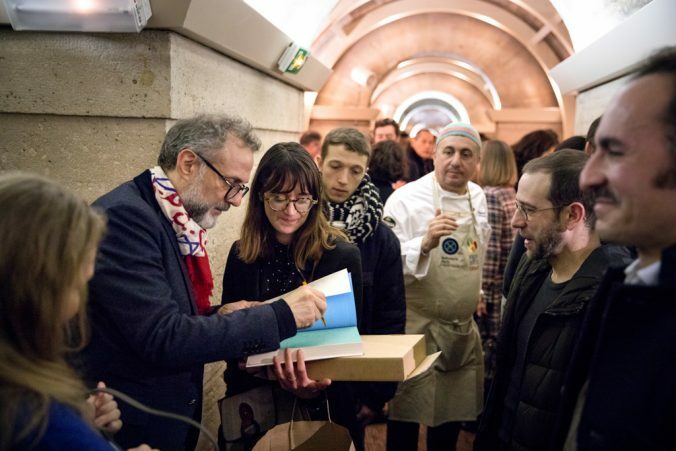 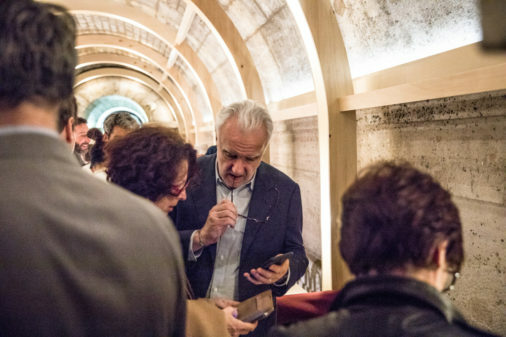 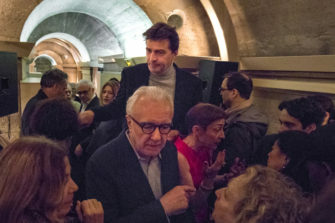 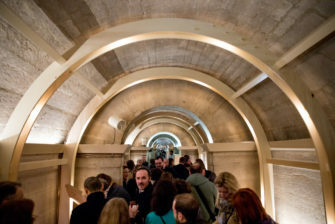 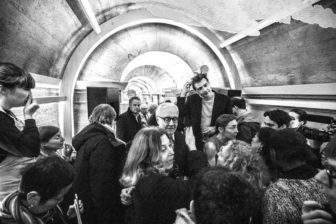 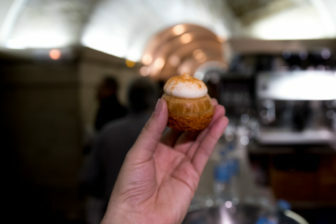 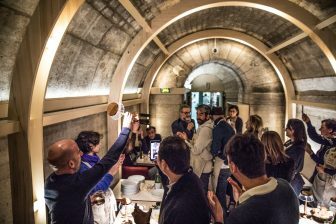 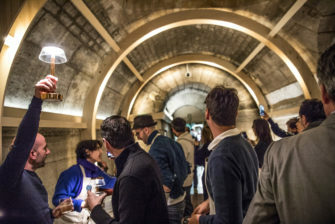 The opening of Refettorio Paris coincided with the launch of the French edition of Massimo Bottura’s book Le Pain est d’or: Ingrédients ordinaires pour repas extraordinaires, published by Phaidon. 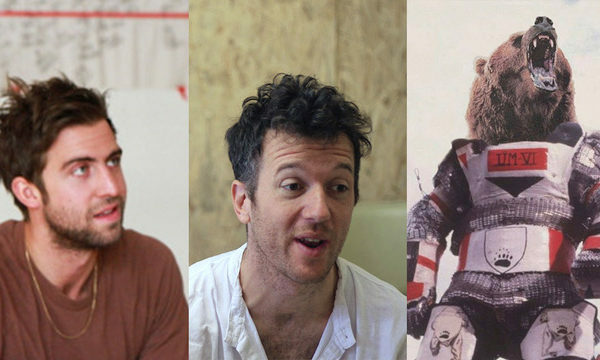 The book collects stories, recipes and experiences of more than 50 chefs who joined Refettorio Ambrosiano, the first community kitchen, opened in Milan in 2015. 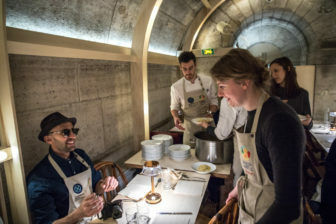 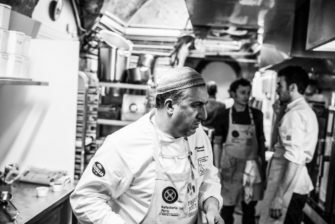 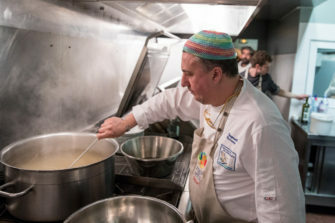 Part of the proceeds from Le Pain est d’or will be donated to Food for Soul to create many other community kitchens like Refettorio Paris around the world. 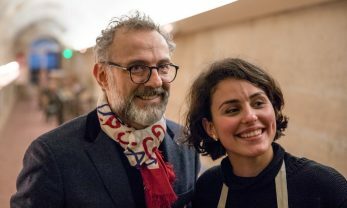 We made a video of the opening event and the highlights of Massimo Bottura’s speeches which you can watch here. 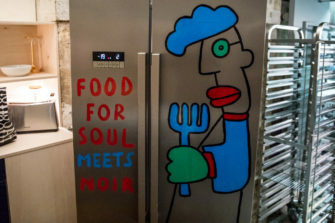 For further information about Food for Soul and the Refettorios visit their website here.